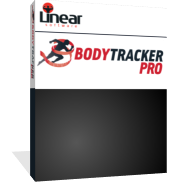 Body Tracker Pro is an amazing tool that allows you to calculate your body fat percentage and keep track of other measurements quickly and easily. It is an integral part of my training and dieting program. 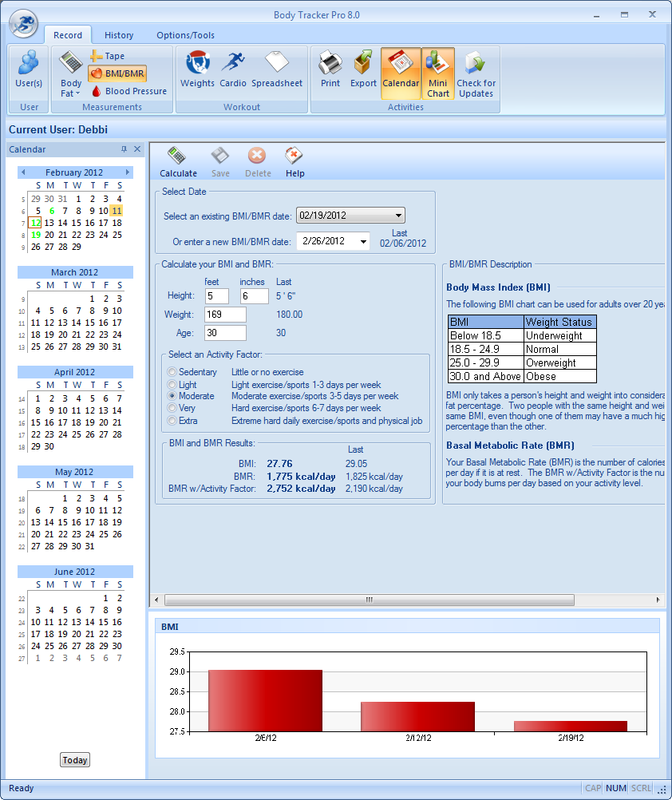 Calculate your body fat percentage with Body Tracker. 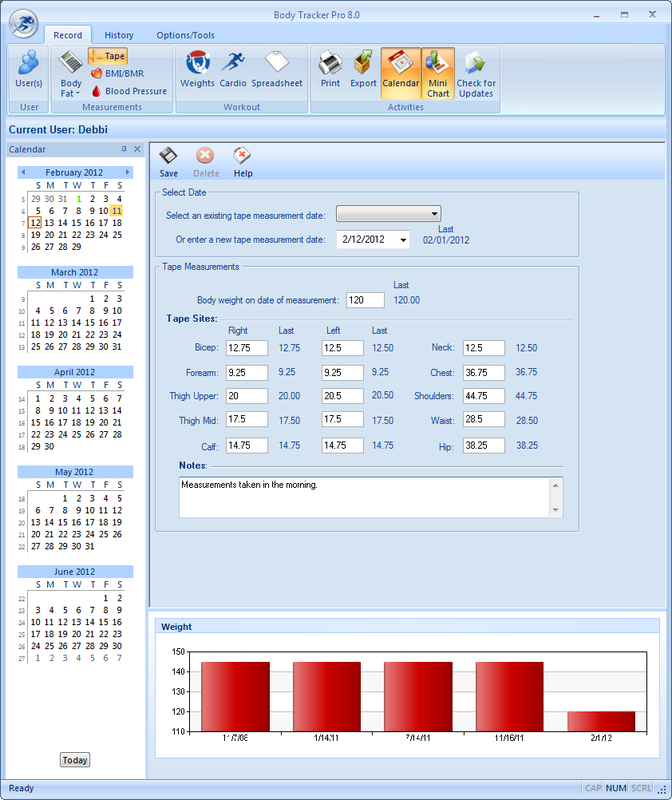 Users are guided step-by-step through the entire process. 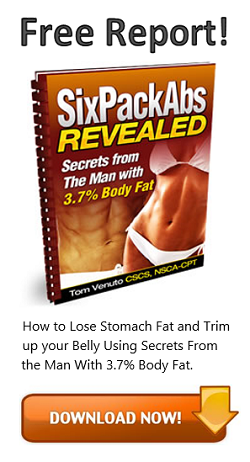 Body fat calculations can be taken in record time – with no training. 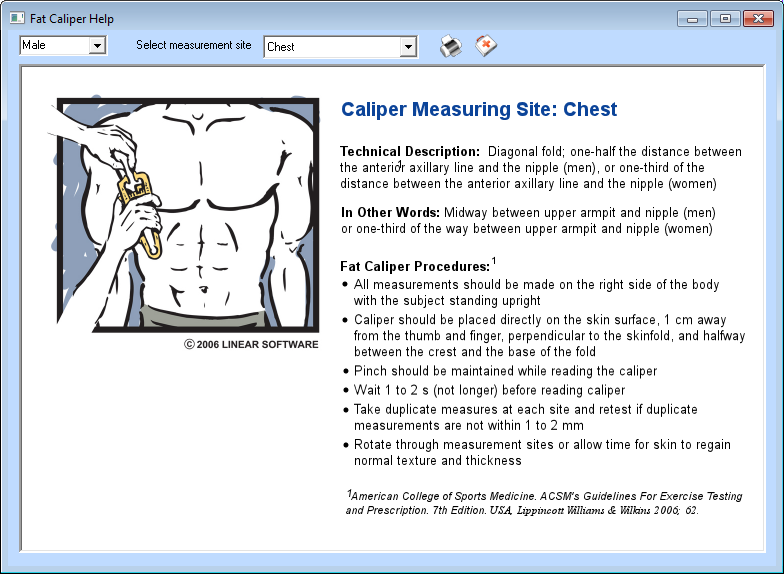 Don’t know how to take caliper measurements? No problem. 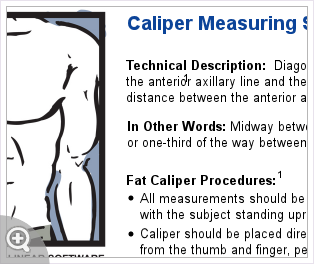 As you take your body fat measurements with a fat caliper, images and videos included in Body Tracker will show you exactly how to do it. 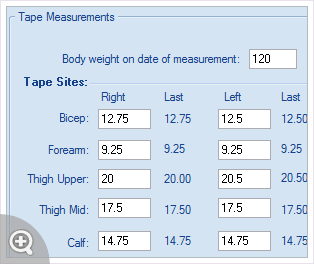 In addition to tracking your body fat percentage, use a tape measure to keep track of ten different body measurements. 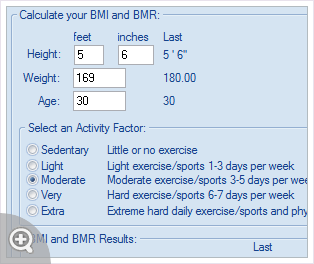 Use your weight and height to calculate your BMI, a measure of your overall health. 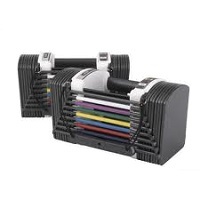 Simply enter your workout and cardio information into Body Tracker and save the information. 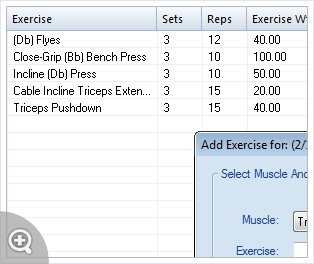 If you do the same workout or cardio more than once, you can create a template to save time. 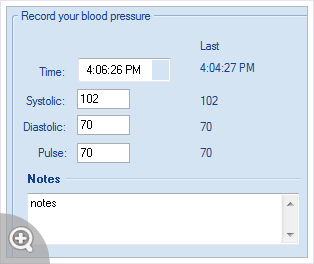 In addition to other measurements, Body Tracker will also allow you to store your blood pressure measurements. You will love Body Tracker’s Picture Slideshow. 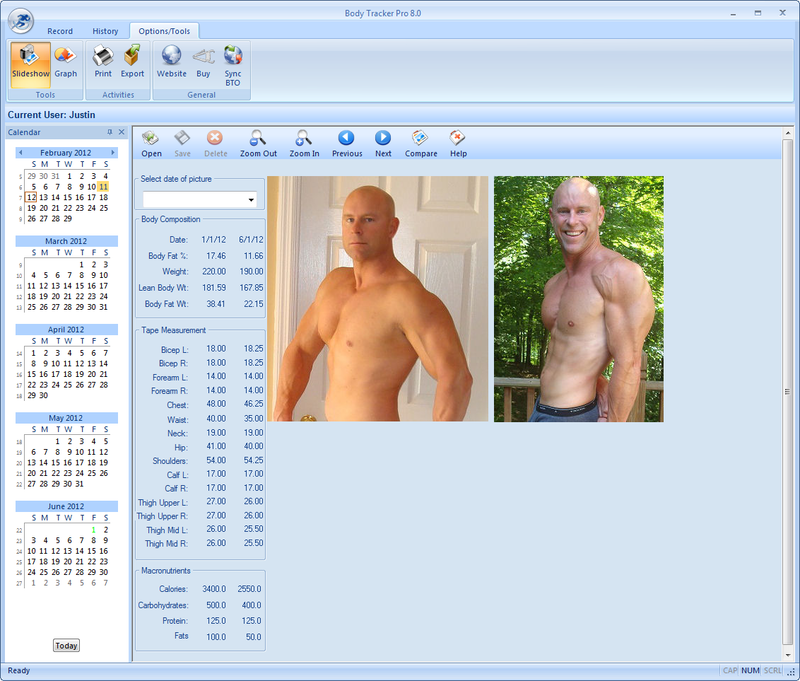 See pictures of yourself as you lose body fat. Nothing is more motiviating than seeing your own progress. 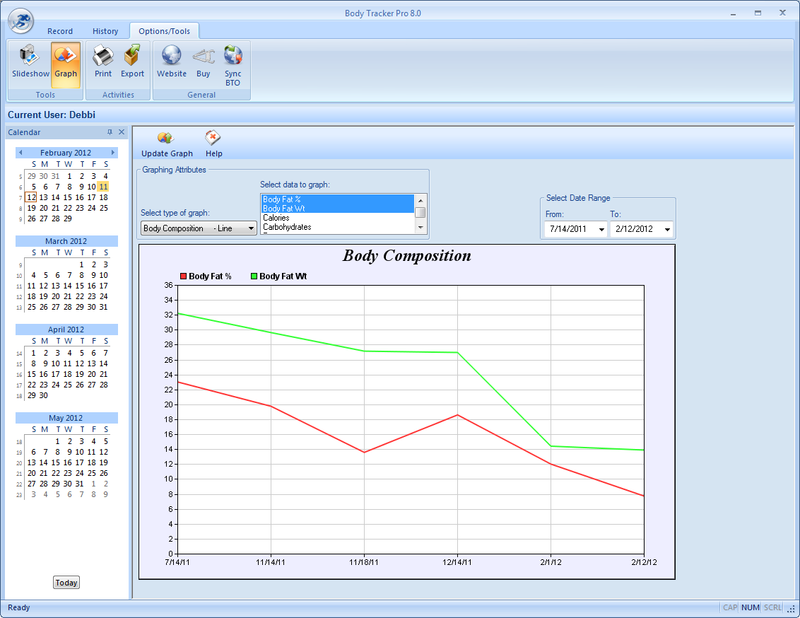 Use Body Tracker’s graphing feature to graph your progress. 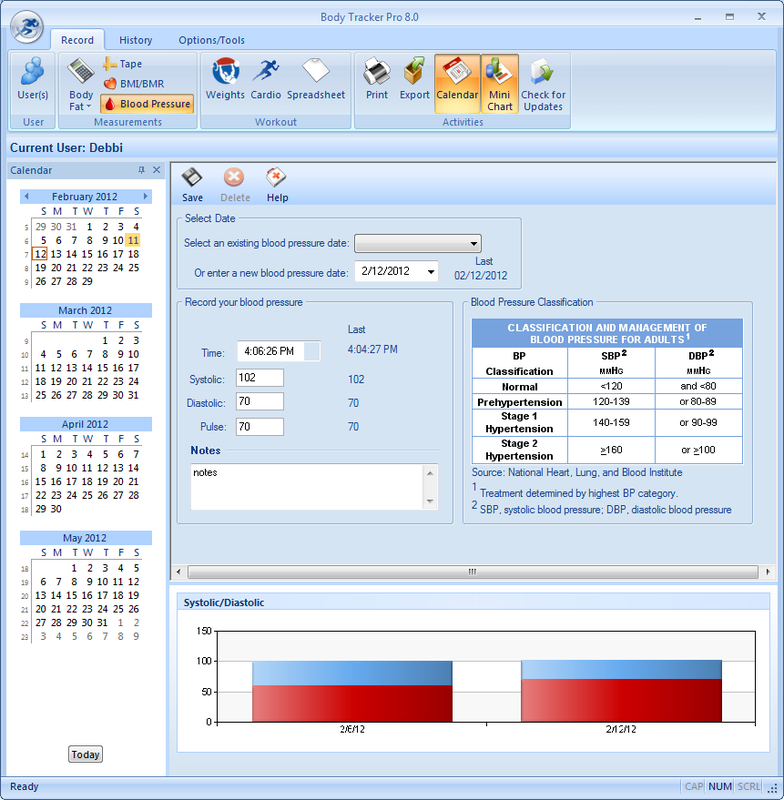 Select as much or little data as you’d like to graph. 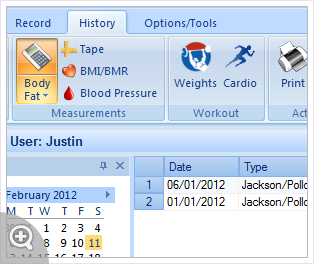 All your data you enter into Body Tracker is stored and displayed..
It’s time efficient. 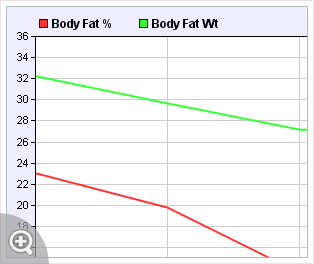 In order to make sure I’m making progress towards my goals I calculate my body fat percentage weekly. 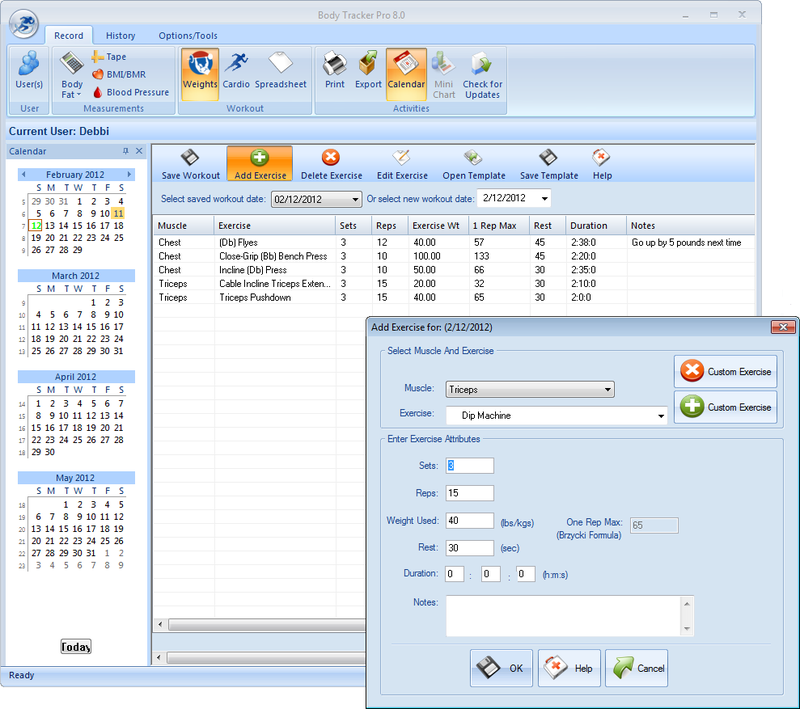 With other programs it used to take me around 30 minutes to take my site measurements because I was constantly having to research and remember how to do it. 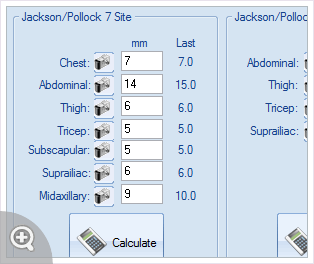 As a result, I dreaded every Sunday morning and eventually I stopped taking my measurements completely. 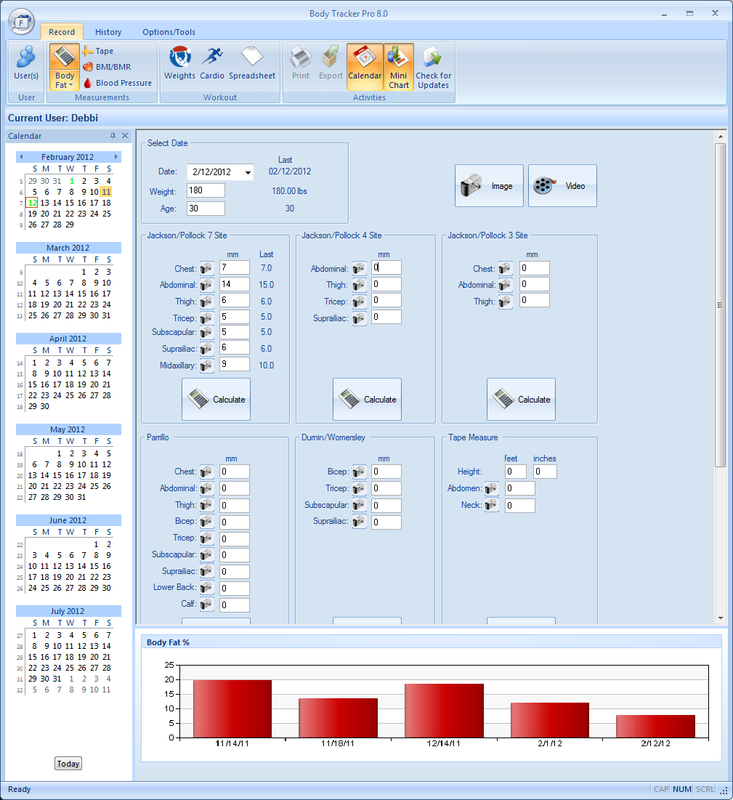 This program shows you exactly how to take each measurement so that they are consistent from week to week. In other words – no more research! Now each Sunday morning I wake up and within 5 minutes I know whether I’m headed towards my goals or away from them. The dread of starting my week has been replaced with the motivation to attack it!